Patricia Kosseim is Counsel in Osler’s Privacy and Data Management Group and co-leads Osler’s AccessPrivacy platform. Patricia is a national leading expert in privacy and access law, having served over a decade as Senior General Counsel and Director General at the Office of the Privacy Commissioner of Canada (OPC). 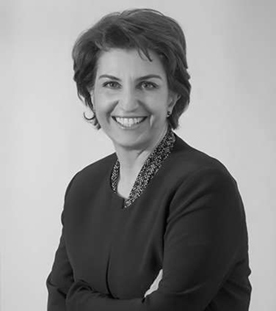 Patricia provided strategic legal and policy advice on complex and emerging privacy issues; advised Parliament on privacy implications of legislative bills; led research initiatives on new information technologies and advanced privacy law in major litigation cases before the courts, including the Supreme Court of Canada. Prior to that, Patricia worked at Genome Canada and the Canadian Institutes of Health Research, where she developed and led national strategies for addressing legal, ethical and social aspects of health and genomic technologies. She began her career in Montreal practicing in the areas of health law, civil litigation, human rights, privacy and labor & employment with another leading national law firm.